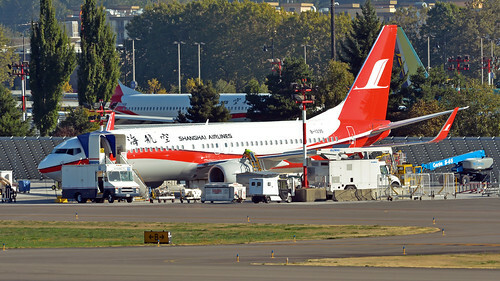 Shanghai Airlines 737-89P B-1335 msn 63050 ln 6619 first flight from Renton, Sep 30, flying as BOE557 for a very quick hop over to Boeing Field. Hex code 78124B. 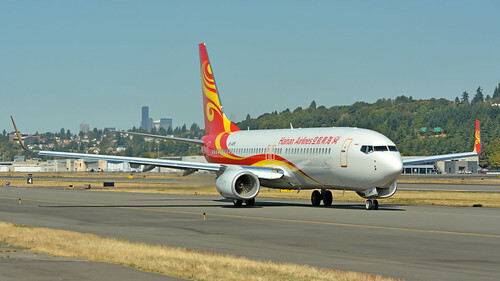 Leased from China Eastern. 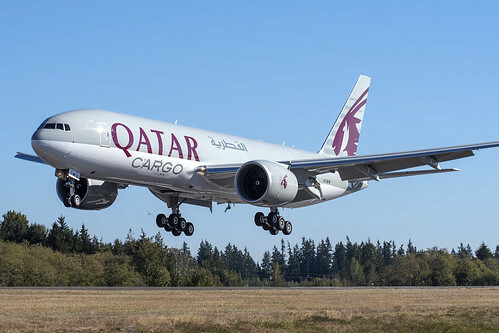 Qatar Airways Cargo 777-FDZ A7-BFM msn 62770 ln 1520 flew away on delivery Sep 30-Oct 1, Paine Field-Doha flying as QTR3373. 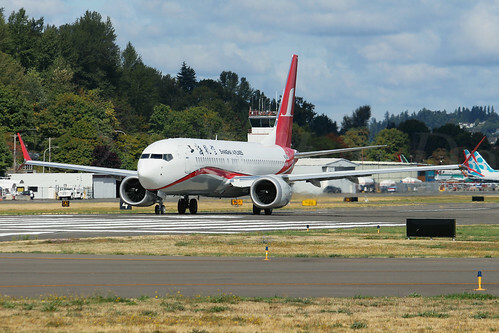 Shanghai Airlines 737-8 Max B-1382 msn 61621 ln 6464 first flight from Renton, Sep 30, flying as BOE601 wearing sticker reg N6046P. Hex code A7D953 (=N6046P). Leased from China Eastern. 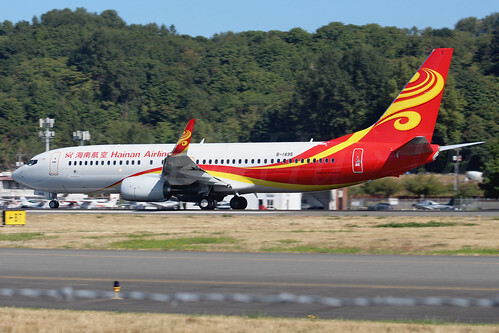 One of it landing at BFI from Chuyi Chuang here. 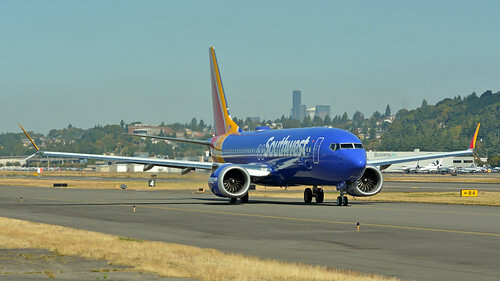 Southwest Airlines 737-8H4 N8548P msn 36968 ln 6626 first flight from Renton, Sep 30, flying as BOE981. Hex code ABB9B2. 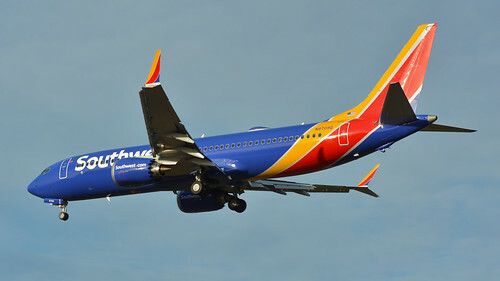 Southwest Airlines 737-8 N8713M msn 36984 ln 6472 flew away on delivery Sep 30, Boeing Field-Phoenix flying as SWA8701. XiamenAir 737-85C B-1303 msn 42943 ln 6608 flew away on delivery Sep 30-Oct 3, Boeing Field-Honolulu-Majuro-Guam-Xiamen flying as CXA8499. 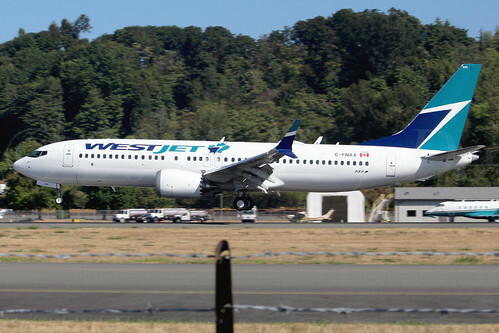 Saudi Aramco (Aramco Associated Company) 737-8AL N805XA msn 61785 ln 6604 flew away on delivery Sep 29-Oct 1, Boeing Field-Halifax-Stansted-Damman flying with reg as callsign. Named "Manifa" which is an offshore oil field in the Persian Gulf. 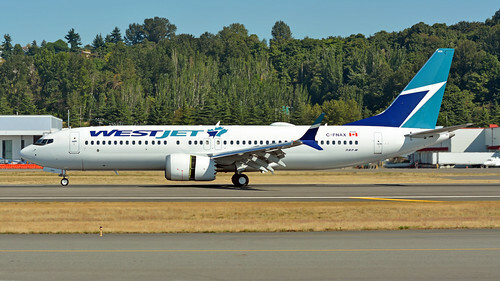 Leased from BOC Aviation. Ryanair 737-8AS EI-GDD msn 44802 ln 6615 flew away on delivery Sep 29-30, Boeing Field-Dublin flying as RYR800D. 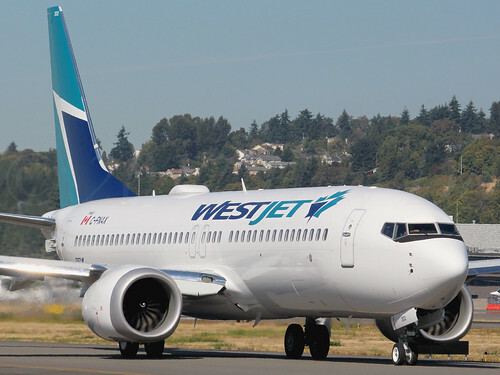 Leased from Aviation Finance & Leasing SARL. 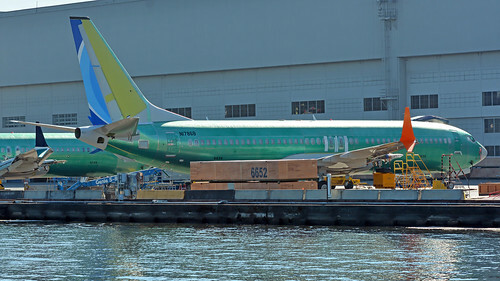 Alaska Airlines 737-990ER N280AK msn 60582 ln 6609 flew away on delivery Sep 29, Boeing Field-Seattle flying as ASA9809. Ryanair 737-8AS EI-GDG msn 44804 ln 6627 first flight from Renton, Sep 29, flying as BOE108. Hex code 4CABB8. 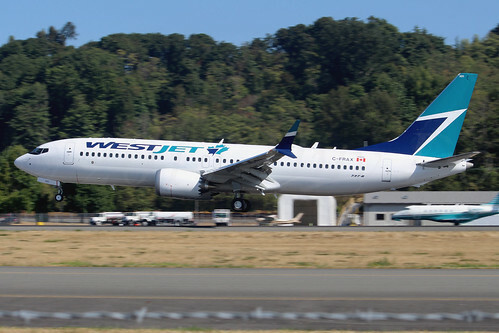 Leased from Aviation Finance & Leasing SARL. Flew to Spokane for painting. 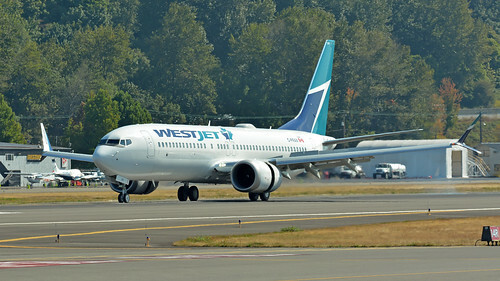 WestJet Airlines 737-8 C-FRAX msn 60510 ln 6384 flew away on delivery Sep 29, Boeing Field-Calgary flying as WJA8964. Emirates 777-31HER A6-EQH msn 42353 ln 1517 first flight from Paine Field, Sep 29, flying as BOE681. 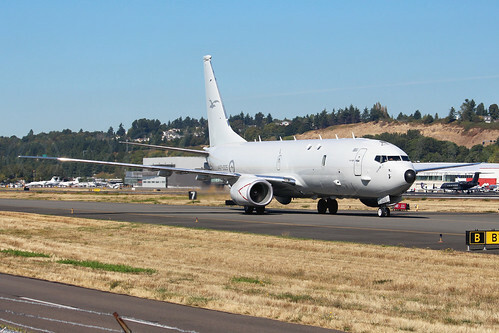 Aircraft is painted but wearing temp reg N5023Q today. Ryanair 737-8AS EI-GDE msn 44803 msn 6618 first flight from Renton, Sep 29, flying as BOE106. Hex code 4CABB6. Leased from Aviation Finance & Leasing SARL. UPS Airlines 747-8F N605UP msn 64252 ln 1543 flew away on delivery Sep 29, Paine Field-Louisville flying as UPS7478. 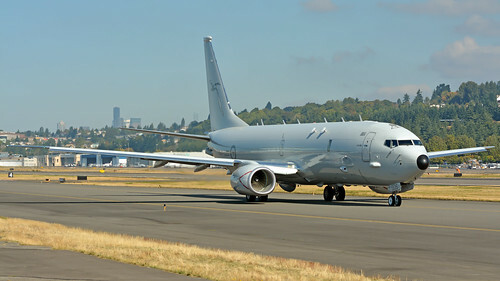 Named "Spirit of Joe Sutter" in memory of him as the former Boeing 747 Chief Engineer. 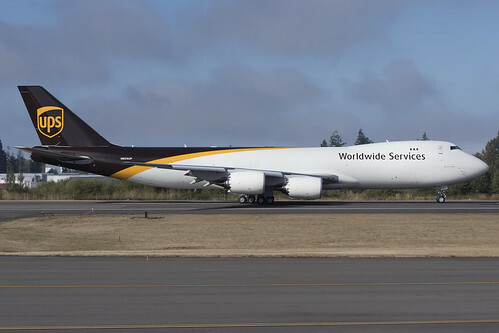 A local photo flight as UPS9102 was performed prior to its fly-away. 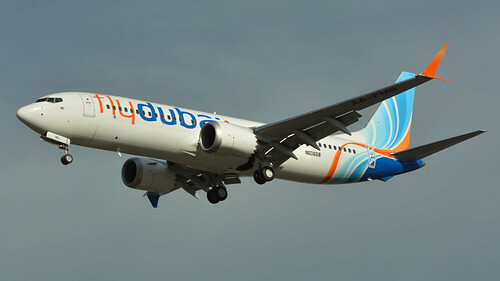 Flydubai 737-8 A6-FMB msn 60968 ln 6548 flew away on delivery Sep 28-30, Boeing Field-Keflavik-Amman flying with reg as callsign. British Airways 787-8 G-ZBJI msn 60626 ln 609 flew away on delivery Sep 28-29, Paine Field-Heathrow flying as BAW8625. Qatar Airways 777-3DZER A7-BEN msn 64064 ln 1523 first flight from Paine Field, Sep 28, flying as BOE907. Hex code 06A2B2. American Airlines 737-8 N324RA msn 44459 ln 6515 flew away on delivery Sep 28, Boeing Field-Tulsa, flying as AAL9701. 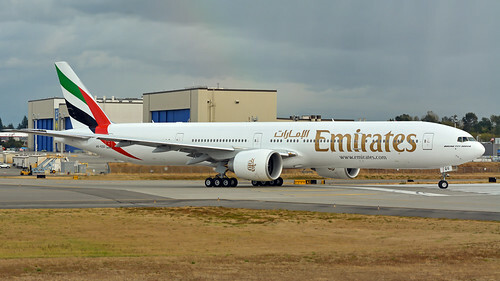 Emirates 777-31HER A6-EQG msn 42352 ln 1519 flew away on delivery Sep 28-29, Paine Field-Dubai flying as UAE7777. Ryanair 737-8AS EI-GDF msn 44801 ln 6620 first flight from Renton, Sep 28, flying as BOE107. Hex code 4CABB7. Flew to Spokane for painting. Qantas Airways 787-9 VH-ZNA msn 39038 ln 615 first flight from Paine Field, Sep 28, flying as BOE269. Hex code 7C8064. 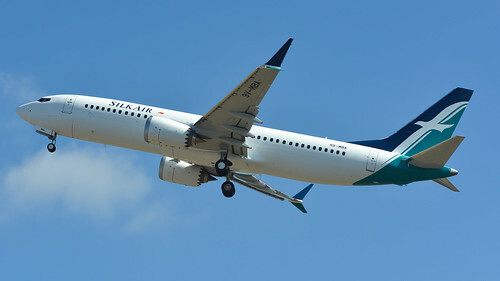 SilkAir 737-8 9V-MBA msn 44246 ln 6535 flew away on delivery Sep 28-Oct 1, Boeing Field-Kona-Guam-Singapore flying as SLK8880. 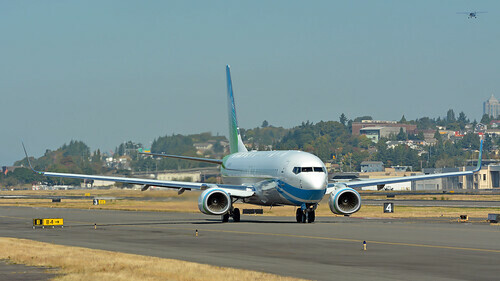 China Southern Airlines 737-81B B-1405 msn 63231 ln 6617 first flight from Renton, Sep 28, flying as BOE411. Hex code 781123. XiamenAir 737-85C B-1300 msn 42940 ln 6602 flew away on delivery Sep 28-Oct 1, Boeing Field-Honolulu-Majuro-Guam-Xiamen flying as CXA8399. Ryanair 737-8AS EI-GDB msn 44799 ln 6601 flew away on delivery Sep 27-28 Boeing Field-Dublin flying as RYR800B. 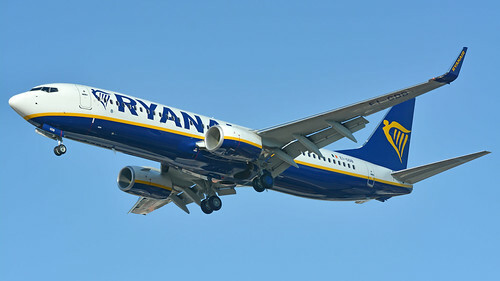 Leased from Aviation Finance & Leasing SARL. KLM Royal Dutch Airlines 777-306ER PH-BVU msn 61702 ln 1521 flew away on delivery Sep 27-28, Paine Field-Amsterdam flying as KLM9866. Named "Grand Canyon National Park". 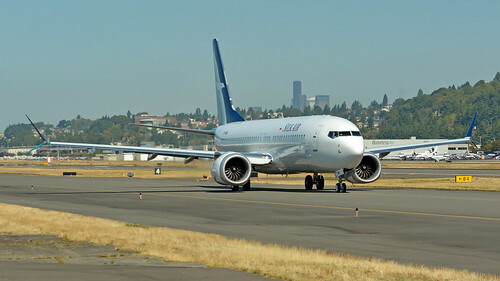 Nice side view from Royal here on airliners.net. Qatar Airways Cargo 777-FDZ A7-BFM msn 62770 ln 1520 seen here at Paine Field, Sep 27, returning from a test flight as BOE208. Air France 787-9 F-HRBC msn 38770 ln 613 flew away on delivery Sep 27-28, Paine Field-Paris CDG flying as AFR787V with 11 people on board. 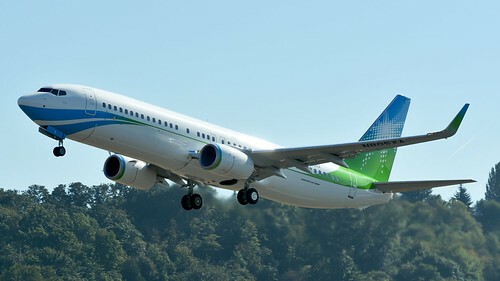 Leased from Aercap. 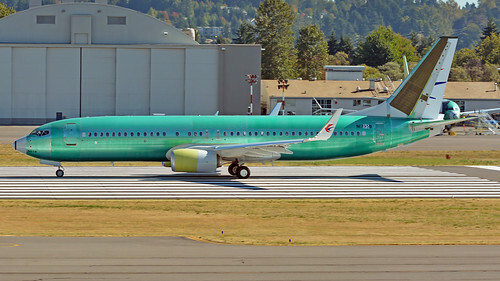 China Eastern Airlines 737-89P B-1309 msn 63763 ln 6610 first flight from Renton, Sep 27, flying as BOE588. Hex code 781214. Leased from Pembroke Capital. Flew to Spokane for painting. 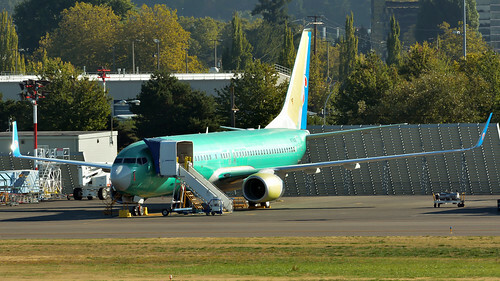 Southwest Airlines 737-8 N8709Q msn 42563 ln 6154 flew away on delivery Sep 27, Boeing Field-Phoenix flying as SWA8700. China Southern Airlines 737-81B B-1413 msn 63236 ln 6606 flew away on delivery Sep 27-30, Boeing Field-Honolulu-Majuro-Saipan-Tianjin-Guangzhou flying as CSN1413. 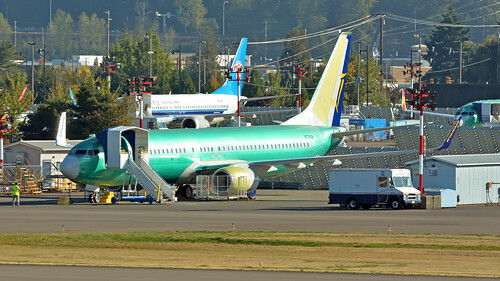 Flydubai 737-8 A6-FMC msn 60969 ln 6630 seen here on the production ramp at Renton, Sep 27. 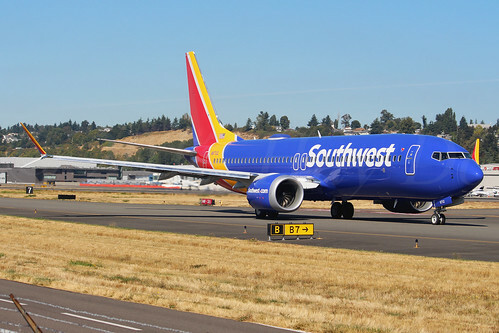 Southwest Airlines 737-8 N8712L msn 36930 ln 6290 flew away on delivery Sep 26, Boeing Field-Phoenix flying as SWA8700. 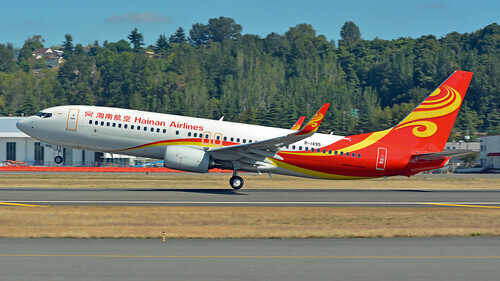 Hainan Airlines 737-84P B-1495 msn 63614 ln 6592 flew away on delivery Sep 26-30, Boeing Field-Honolulu-Majuro-Saipan-Tianjin-Haikou flying as CHH1495. Leased from Bank of Communications Leasing. 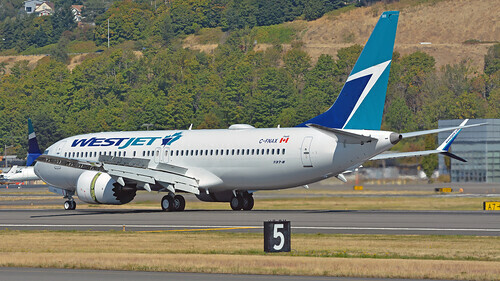 WestJet Airlines 737-8 C-FRAX msn 60510 ln 6384 seen here at Boeing Field, Sep 26, returning from another test flight as BOE401. Fleet #301. 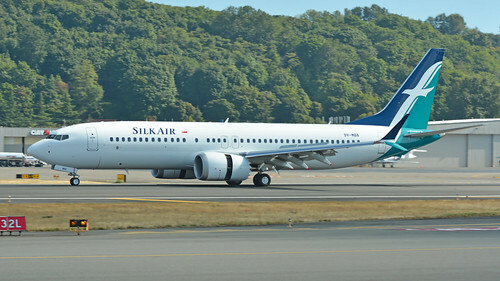 SilkAir 737-8 9V-MBA msn 44246 ln 6535 seen here at Boeing Field, Sep 26, out on the first of two test flights today as BOE201. 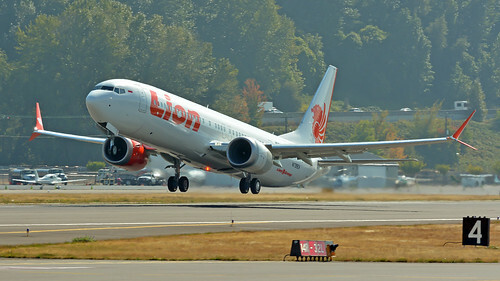 Boeing Company/Lion Air 737-9 Max N739EX msn 42989 ln 6308 seen here Sep 26, departing Boeing Field on another test flight sortie as BOE902. 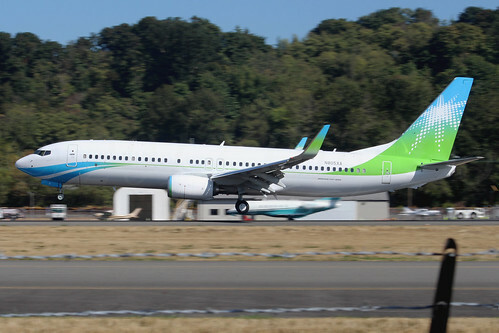 Saudi Aramco (Aramco Associated Company) 737-8AL N805XA msn 61785 ln 6604 seen here at Boeing Field, Sep 26, departing on another test flight as BOE296. Named "Manifa" which is an offshore oil field in the Persian Gulf. 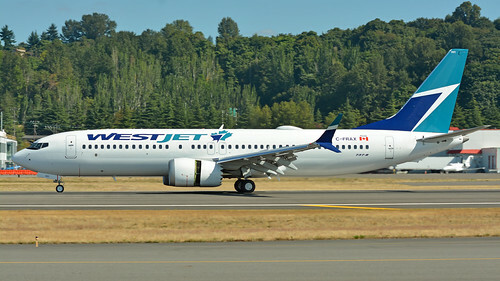 Leased from BOC Aviation. 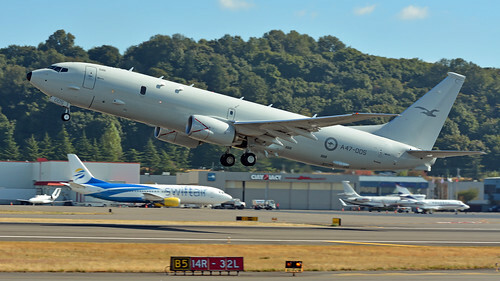 Royal Australian Air Force P-8A (737-8FV) A47-005 msn 63179 ln 6328 first flight after completion of mods on Sep 26 at Boeing Field, flying as BOE185 with hex code 7CF9CF. 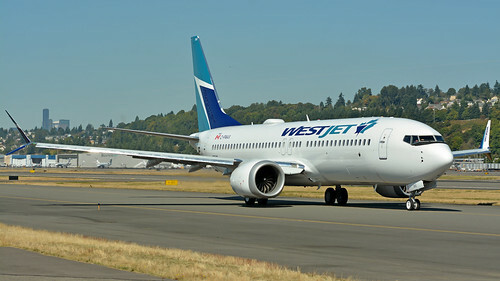 WestJet Airlines 737-8 C-FNAX msn 60512 ln 6499 first flight from Renton, Sep 26, flying as BOE402. Fleet #302. Hex code C0226C. 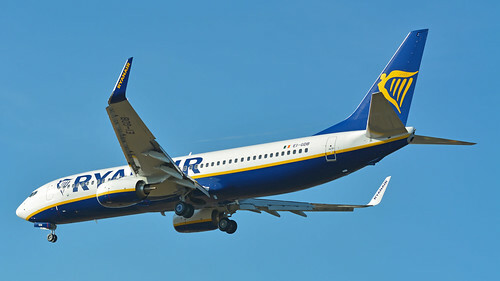 Ryanair 737-8AS EI-GDB msn 44799 ln 6601 seen here landing at Boeing Field, Sep 26, after a test flight as BOE103. 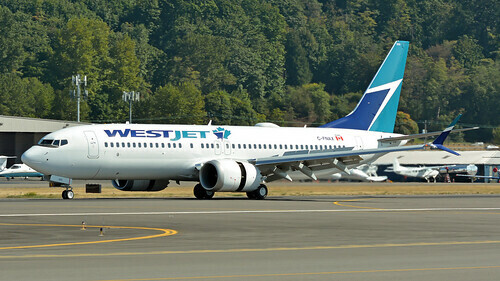 Leased from Aviation Finance & Leasing SARL. UPS Airlines 747-8F N605UP msn 64252 ln 1543 seen here at Paine Field, Sep 26, going out on another test flight as BOE531. 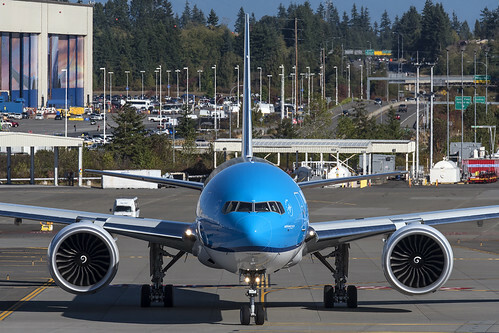 Named "Spirit of Joe Sutter" in memory of him as the former Boeing 747 Chief Engineer.